If you love newborn babies, a career as a Newborn Care Specialist might be the perfect path for you. More than a nanny or babysitter, Newborn Care Specialists educate new parents and assist them in newborn care. An NCS position is typically temporary, lasting from two weeks to a few months. Salary is strongly connected with the expertise of the individual Newborn Care Specialist. This career path is emotionally rewarding and financially lucrative. Pay is typically $18 an hour and up, depending on certification and specialization. If Newborn Care is your path, advancing your career is always within your reach. 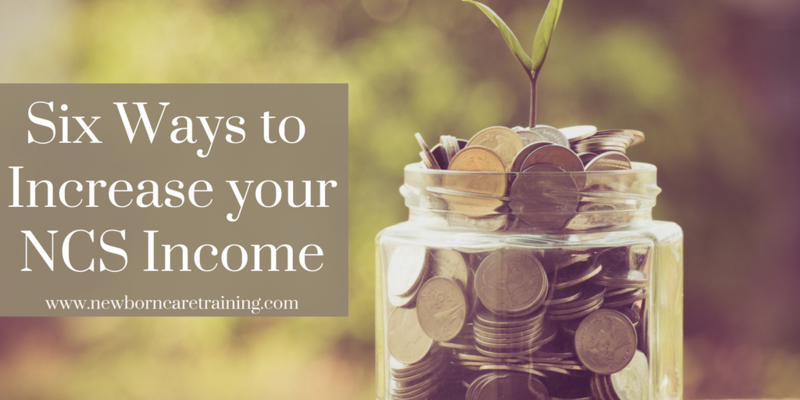 If more money is one of your goals, these six ways to increase you NCS income will help guide you forward. If you have not yet been officially trained as a Newborn Care Specialist, consider doing so soon. You may have raised five babies and feel you have no need for formal training, but going through a training program, such as our Newborn Care Specialist Workshop, fine tunes your knowledge. Workshops educate you about aspects of newborn care you may be unfamiliar with. You’ll learn all about formula, breastfeeding and how to support a breastfeeding mom, feeding schedules, sleep schedules, sensory stimulation, and so much more. Formal education tells prospective employers that you are serious about your education and career. It offers added reassurance that they and their baby are safe in your hands. This translates to better pay! Becoming a formally trained Newborn Care Specialist is only the beginning. The more you specialize your training, the better prepared you will be to help parents and their newborn babies. Consider training as a Certified Lactation Consultant so you know how to support nursing moms. Become a Certified Postpartum Doula so you are better able to offer care to the new mother as well as her new baby. Take one of our advanced workshops to gain expertise in Sleep Management, Breastfeeding, or Developing Your Business. Get certified as a Child Passenger Safety Technician and help parents learn how to keep their little ones safe while on the road. Specializing your training allows you to offer more to your clients – and to ask for better pay in return. Advancing your education and becoming certified in a number of areas gives you the opportunity to become a consultant. Offering consultations is a great way to earn more money. Consultant fees can be as much as three times your normal hourly rate (or more! ), making this a great way to increase your earning substantially. Along with with, your expertise in certain areas will allow you to teach classes to groups of expecting or new parents. As with most jobs, different areas of the country offer better pay or more opportunities for work. If you are in an area where job opportunities are scarce, it might be worth considering a move. Fortunately, networking and determination makes it easier to search for your next perfect location. With advanced education and specialized certification, you’ll be well qualified for more lucrative assignments. While the thought of a normal eight-hour-a-day work assignment might be the most attractive to you, you can earn as much as $350 to $800+ a day when you take 24-hour positions. Likewise, travel jobs are typically 24-hour-a-day assignments with great pay, with the added attraction of providing you the opportunity to visit new places. These jobs can definitely be challenging, especially for those with a family. However, they are a wonderful opportunity to earn great money! Having one newborn baby in the house can be a challenge for most new parents. But when their new arrival turns out to be twins, triplets, or even quadruplets, the difficulty multiplies with each baby. Specializing in caring for multiple newborns makes you uniquely qualified for these demanding positions. Not only will you earn higher wages, you will have the satisfaction of knowing that the help you are offering is absolutely crucial to the mental, physical, and emotional well-being of the newborns and their harried parents as they adjust to their instant full-sized family. By providing exemplary care to newborn babies and their parents, a Newborn Care Specialist can make all the difference to a new family. Helping to give new babies the best start in life is one of the most emotionally rewarding jobs around. 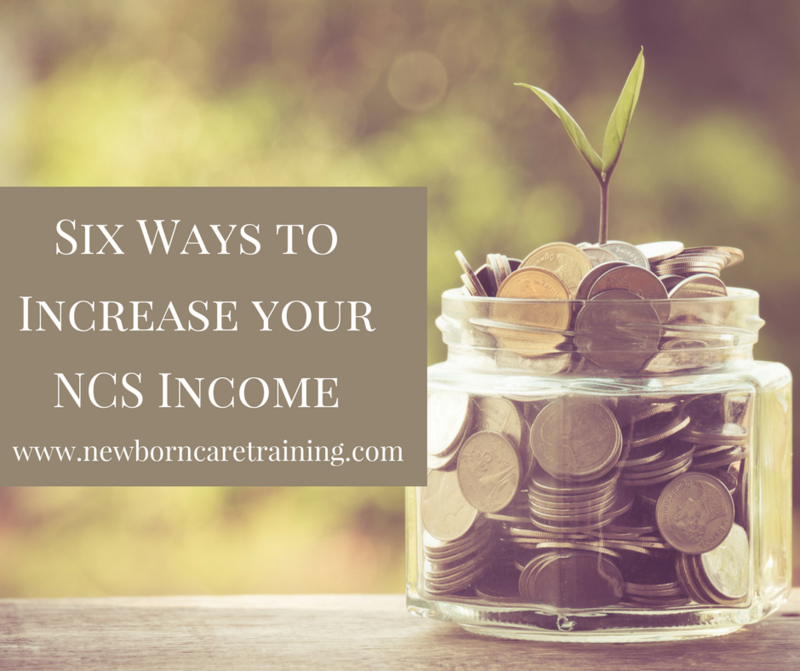 These six ways to increase your NCS income will help ensure that it will be a financially rewarding job as well.